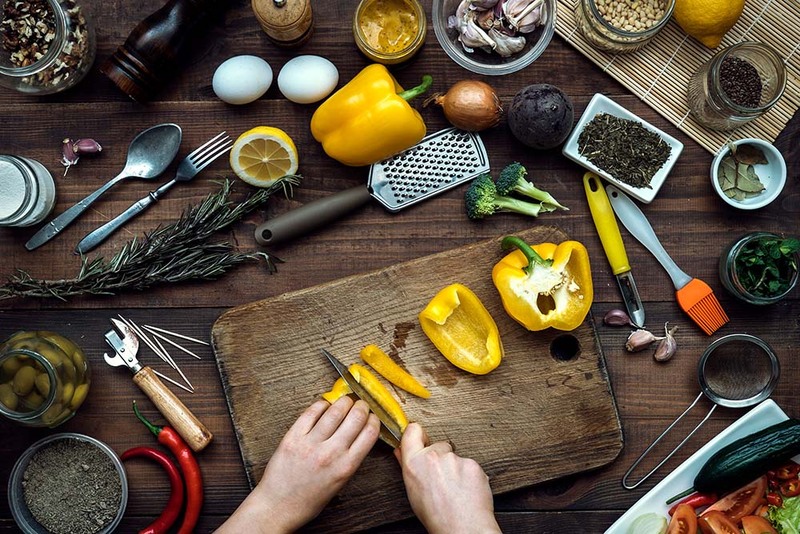 Whipping up a recipe in español is an easy way to immerse yourself in the language, so we've put together this handy dandy guide to get you started. Here's a Spanish recipe you might love. Celsius = Centígrados (sen-ti-grah-dohs). Celsius is used in all Spanish-speaking countries. 0 degrees celsius = 32 degree fahrenheit. You’ll find a farenheit to celcius calculator right here. This delicious shrimp recipe was developed by the crew at Tasty, but we've translated it for you below so you can whip up dinner en Español! Here’s a crash course guide to ordering a steaming hot cup of Jo, just how you like it, en español…. Con = With (con). As in: Con mostaza = With mustard. Chocolate = Chocolate (Chalk-o-latte). As in: Pastel de chocolate = Chocolate cake. Sin = Without (sin). As in: sin ti = Without you. Doble = Double (dobe-lay). As in: café doble. As in.... ¡Por Cuba libre! = For Free Cuba!